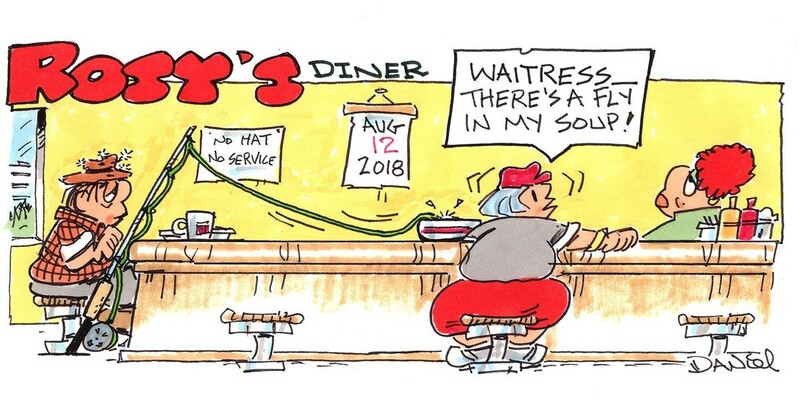 Charlie Daniel’s Sunday comic panel has ended. *I’m not sure if the February 3, 2019 issue appeared in the print Knoxville News Sentinel or is web-only. 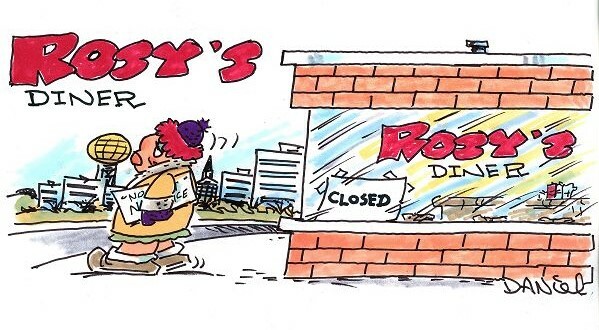 Sussed from various articles it seems that the concept and characters of Rosy’s Diner first appeared in Charlie Daniel’s Knoxville News Sentinel editorial cartoons in 2006. By late 2006 he was doing the panel as a (more or less) weekly feature. In 2007 it became a regular Sunday feature. 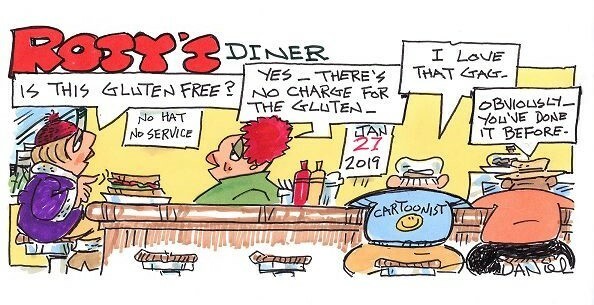 “In 2007, Daniel took an occasional setting of his cartoons — Rosy’s Diner — and turned it into a weekly strip that appeared at the top of the News Sentinel’s Sunday Perspective section. Early on in the run Charlie put a calendar on the wall of the diner identifying the date. Eventually, during a 2011 recipe contest, Rosy put vegetables on the menu. 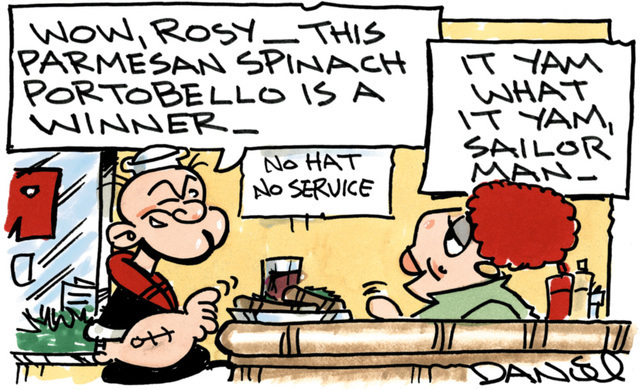 I don’t know of any Rosy’s Diner archive other than the AAEC Daniel page having the last several mixed in with Charlie’s editorial cartoons. 29 queries in 0.326 seconds.